“Yup, that’s me,” I said, and we ended up having a long conversation until the gates opened. He told me that he was featured on SportsCenter last week for catching an Adrian Beltre homer, and he showed me the video of it on his iPhone. His name is Trent, and he was there with his friend Brent. For real. Trent and Brent. They were both really cool, and we spent the next two hours together. In the photo above, Brent is the other fan looking on. 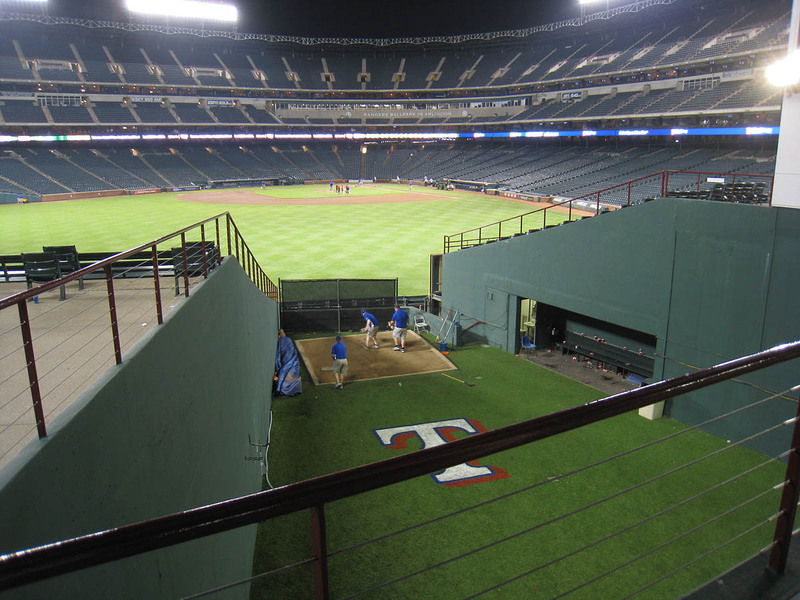 The Rangers’ bullpen is out in the open where fans can actually see their favorite pitchers warming up. Again, what a concept! Trent, it turns out, recognized me from this crappy segment on the CBS Evening News, so he knew all about my streak of consecutive games with at least one ball. “It was up to four hundred and something back then,” he said. “It’s now six seventy-seven,” I replied. Trent and Brent both wanted to make sure that I’d keep my streak alive, so they told me they were going to let me have the next ball. I told them they didn’t have to — that I didn’t want any charity and I’d definitely find a way to snag at least one before the day was through — but they insisted. I asked Trent and Brent how we should handle it — if we should all just jump for the ball when it ended up getting tossed our way, or if they wanted it. I told them that since this was their home turf, I didn’t want to get in their way, and I offered to back off and let them have it. Two minutes later, Alexi Ogando walked out of the bullpen. Trent called out to him for the ball. I figured that meant that I wasn’t going to get it, but while Ogando was walking toward it, Trent told me that I could have it. “What about you?” I asked Brent. By that point, there was another fan in the section — a guy closer to my age named Clyde, who was there with his four-year-old son, Suede. I had talked to Clyde outside the stadium as well. He’s a DJ for a local hip hop radio station, and although you won’t see it in the next photo, he was covered with tattoos. Anyway, I asked Clyde if he wanted the ball for his son, but they’d already gotten one, so he was like, whatever. 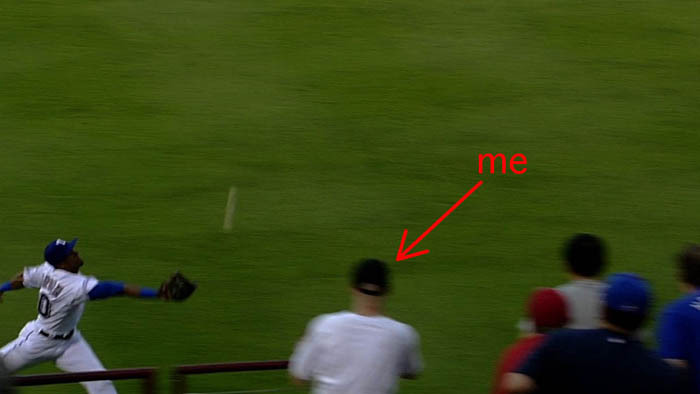 Basically, everyone was cool with me getting the ball from Ogando, so when it ended up being tossed our way, I reached out and caught it. …and it’s hard to believe, but I didn’t get a single baseball from them. I was completely decked out in Jays gear, and I had a glove, and I knew all their names and asked politely and spoke to the Latino players in Spanish — and I didn’t get one ball. Unbelievable. 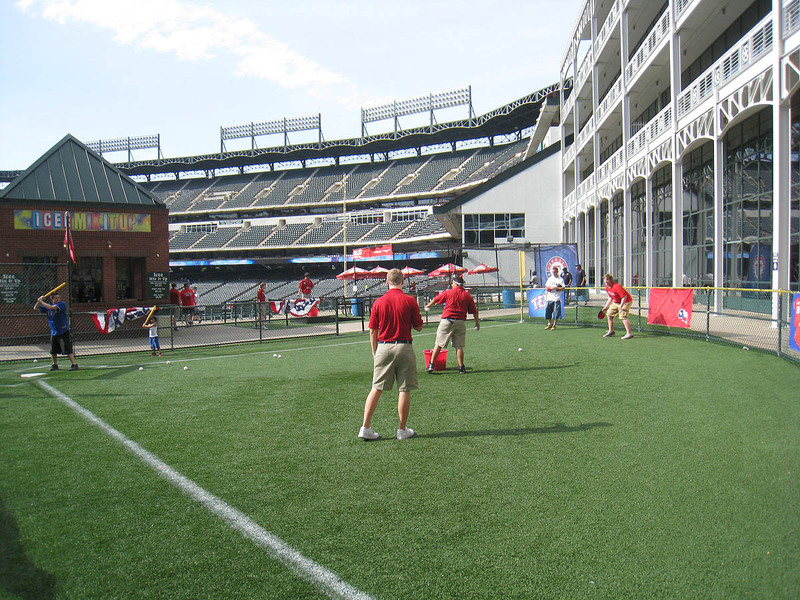 The players were tossing balls to gloveless men in Rangers gear, but for some bizarre reason, it’s like I was invisible. Because this is the 5th stadium I’ve been to this season. Because my facial expressions indicate how I feel about each stadium. 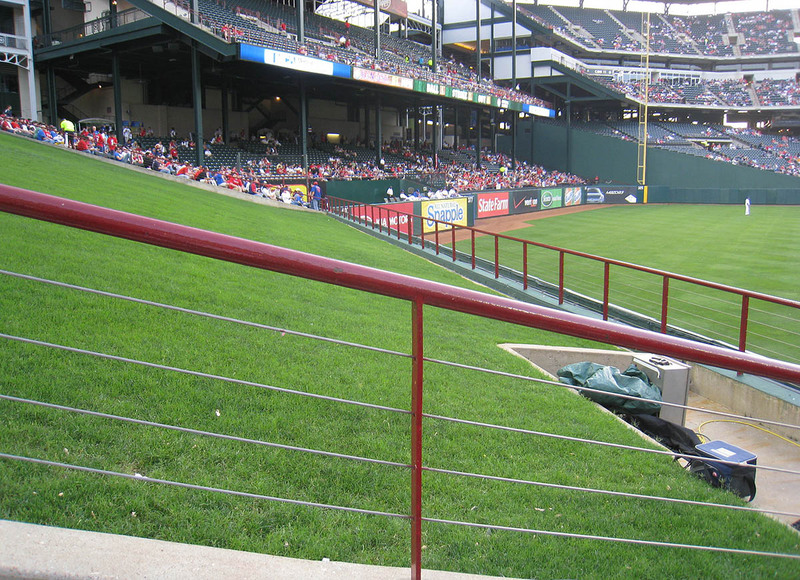 Rangers Ballpark is as good as it gets. I won’t bother listing everything that was available, but it was impressive. 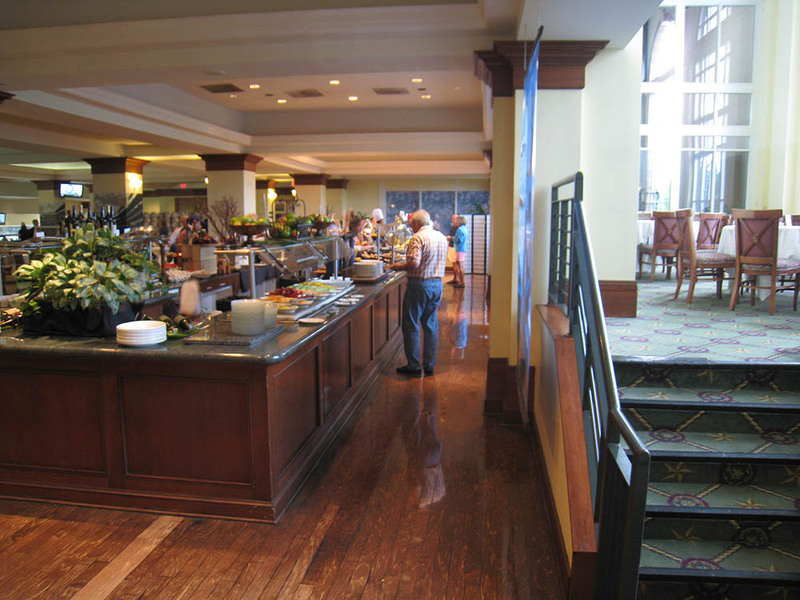 I mean, there was prime rib and stir fry and hot dogs and fruit and salad and fortune cookies and cake and sundaes and chips with chili and cheese sauce. Wow. I’m getting hungry just writing about it. If you don’t see what I’m talking about, look at the bottom right corner of the photo above. 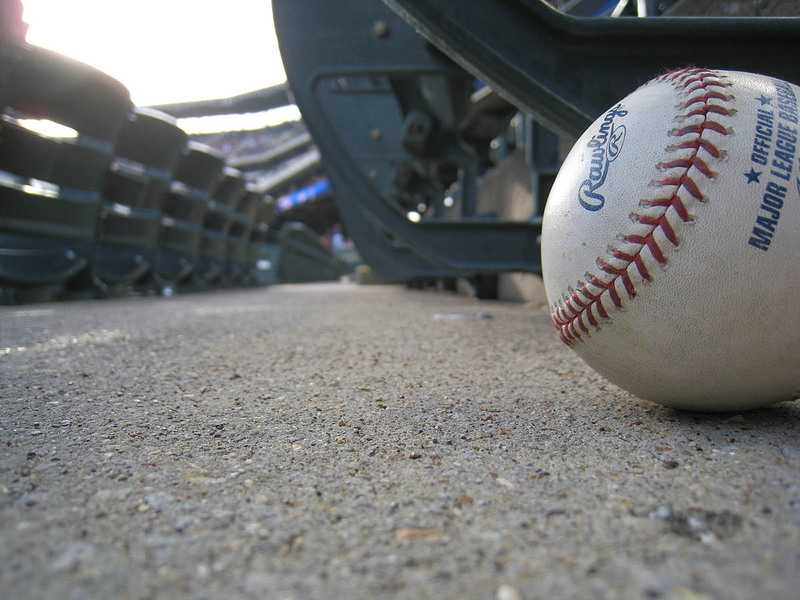 It was 6:40pm — the stadium had been open for more than two hours — and I found a ball. Crazy stuff. …but because the Blue Jays were throwing. Really. And I ended up getting THREE balls within a five-minute span. 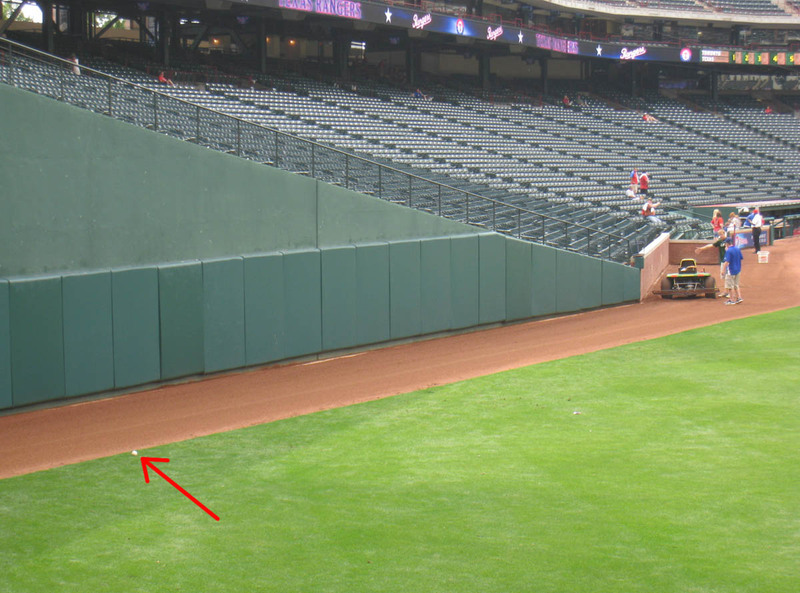 Yunel Escobar tossed me the first, and then less than five seconds later, someone else threw me another. I got so caught up in the moment that I totally spaced out and forgot who’d given it to me. (Has that ever happened to you?) Then a little kid with a glove wandered down and stood right beside me. He was shouting aimlessly (and not nearly loud enough) for the last ball in use, and when the players were almost done, he got distracted and turned his back to the field. (Duh.) John McDonald ended up tossing me the ball because there was no one else worth giving it to. As soon as I caught it, I tapped the kid on the shoulder and handed it to him. 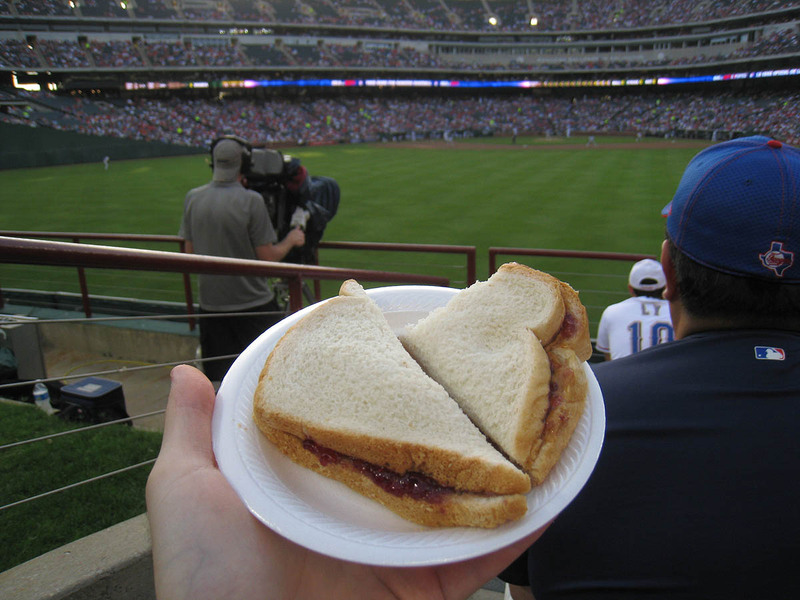 …and yes, that’s a peanut butter and jelly sandwich that I bought at a kids’ concession stand for two bucks. I actually bought two of these sandwiches and washed ’em down with an ice-cold bottled water. Trent was sitting directly across the grassy area from me. I was in the 5th row on the left side of the hill; he was in the 5th row on the right. That’s his regular spot, and I was looking forward to some friendly competition. We’d both been gracious about the pre-game toss-ups in right field, but we both knew that if a home run were hit to dead center during the game…oh yeah, it was gonna be ON. I was hoping that the ball would land on the warning track and bounce up to me, and it totally would’ve *if* it had landed on the track. I was right in line with it, but it touched down several feet short on the grass. Damn! 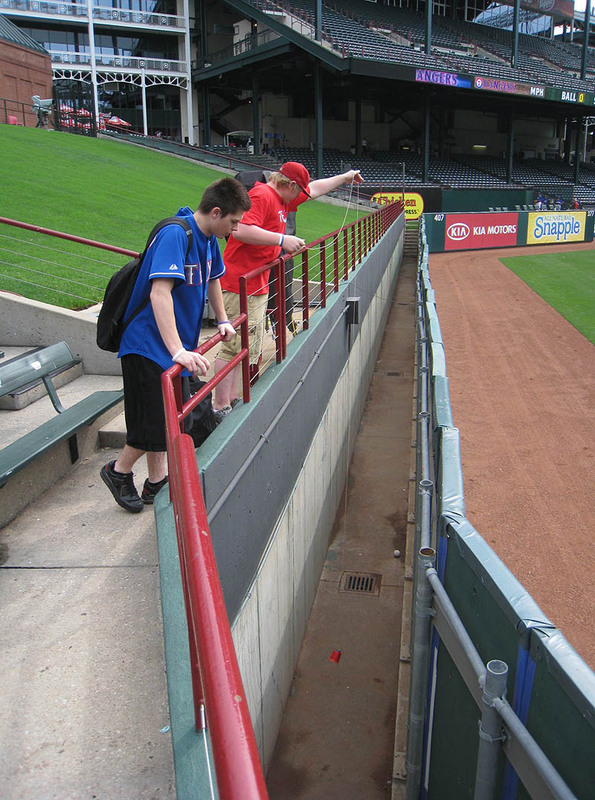 Then, several minutes later, I got one of the groundskeepers (pictured two photos above) to peel the lineup card off the wall and hand it to me, just as I’d done on 5/3/09 at Rangers Ballpark, only this time it was much easier. 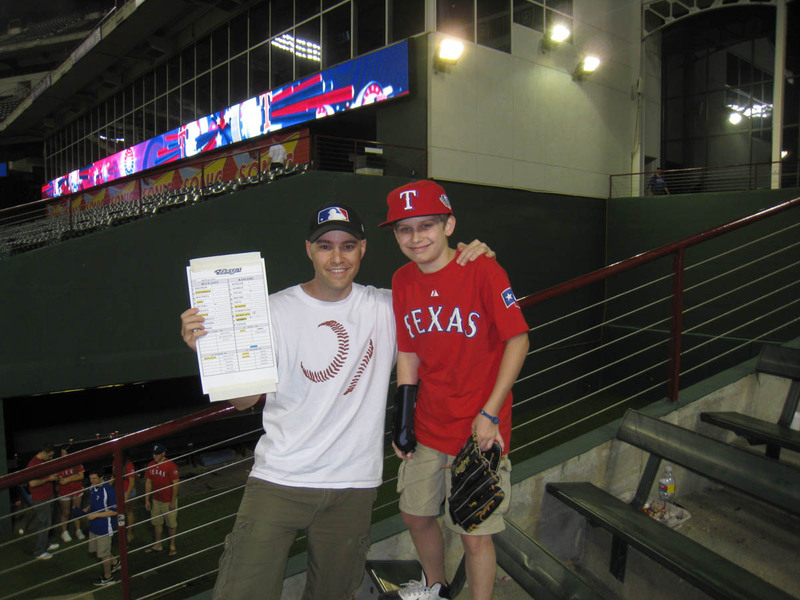 In between the time that I got the ball and the lineup card, I talked to a kid who recognized me from this blog. His name is Dylan. He said he’d ready every single one of my entries (dating back to April 2005! ), and he seemed really glad to meet me. The feeling was mutual. It’s always cool to meet people who appreciate what I do. • 116 balls in 17 games this season = 6.8 balls per game. Sounds like you had a great time! 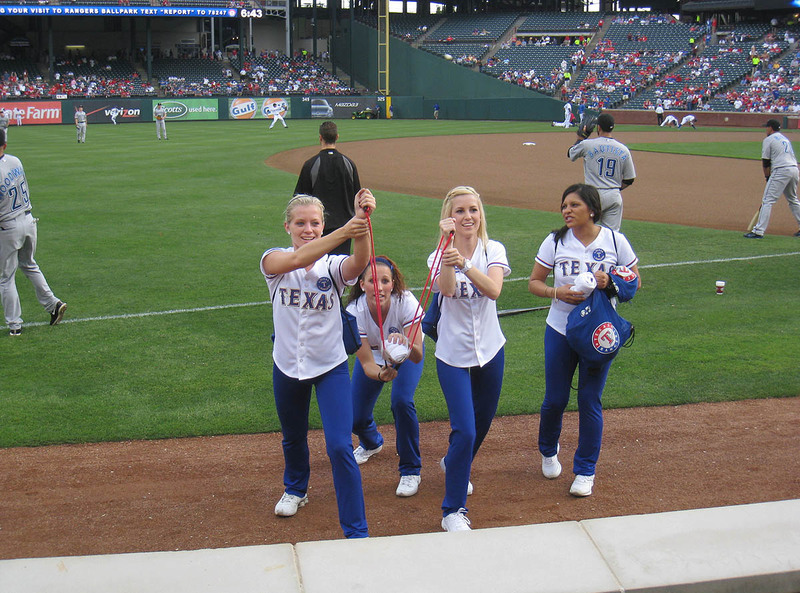 I lived in the Dallas area of Texas for 9 months several years ago, and would you believe I never got a chance to go to a Rangers game? Granted, I was like 13 so I couldn’t drive myself out there or anything, but still! It’s on my list of places to visit for sure. I hate that I’m missing meeting you in Arlington this week Zack. 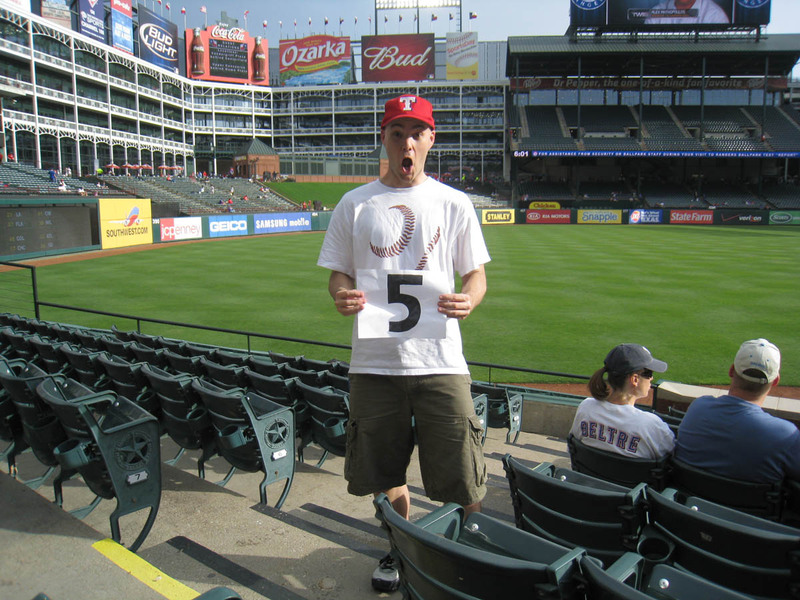 I’m about 5 hours away from there and I went for the opening weekend whenever the Rangers were playing Boston. Had I known before then you were coming I would have held off my plans and went this weekend to meet you there haha! Oh well maybe another day. I MIGHT actually somehow find a way to be there Thursday due to the fact that I am vehicle shopping and I saw one in Arlington a few weeks back when we went. If we do come Thursday I’ll give you a heads up. Enjoy the time in Arlington and Houston too. Haha! Love the first line with the thug pic (holla! ), and the peanut butter & jelly sandwiches, and Travis Schneider’s headshot, and you wishing Dylan a happy birthday. Love IT. Go, Texas! Hey Zack, If you have time to read this then this is Ballhawk Angel. I plan to go to Thursday’s game but with a BIG test for me I may go to Friday’s game. 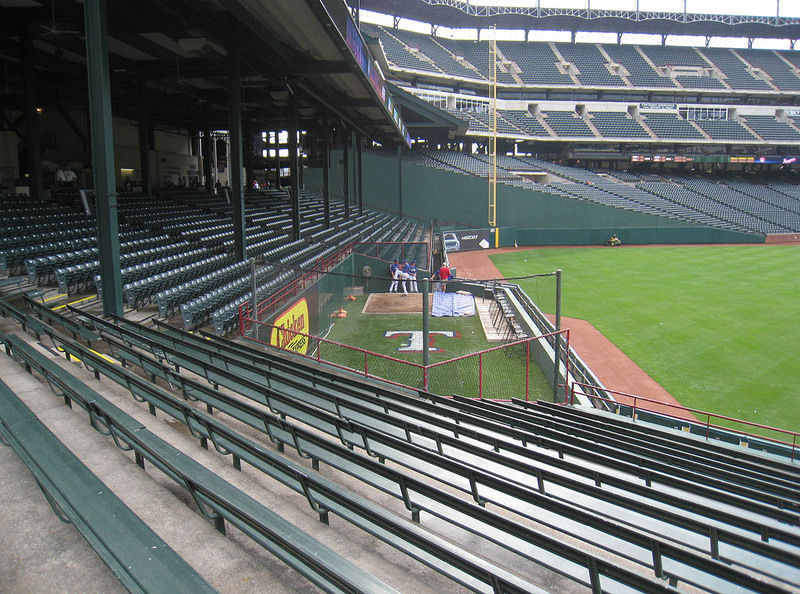 I’m not trying to be A stocker but if you can, can you PASS BY the crawford boxes during or maybe after BP so I can meet you. It would be such an honor. You’re my inspiration. Thanks and I hope to see you there. 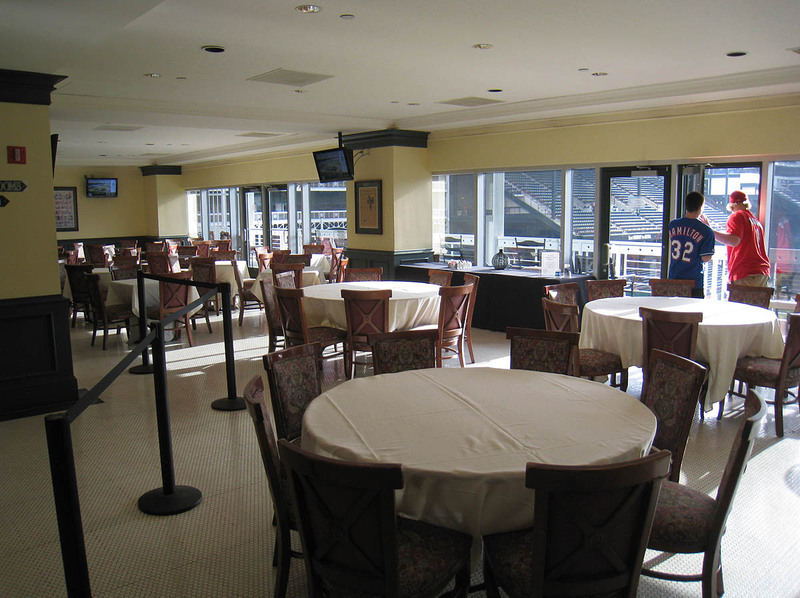 ALL stadiums need to take notes from Rangers Ballpark, on how to run a stadium. It’s unreal how great of a stadium that is! 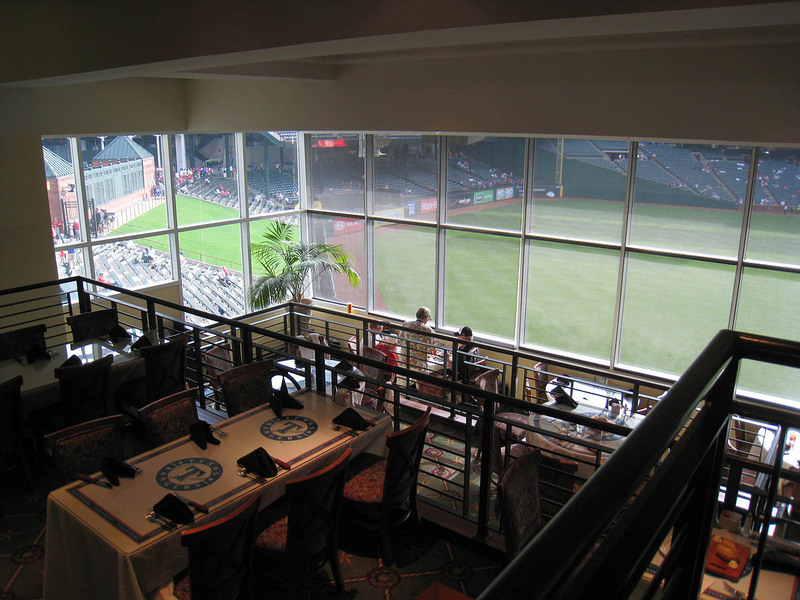 BTW…..I’m talking about your trip to Minute Maid Park…. Thanks for wishing me a happy birthday and good luck at the game tonight. And also ha ha at Travis Snider. The guys by me kept making fun of him. 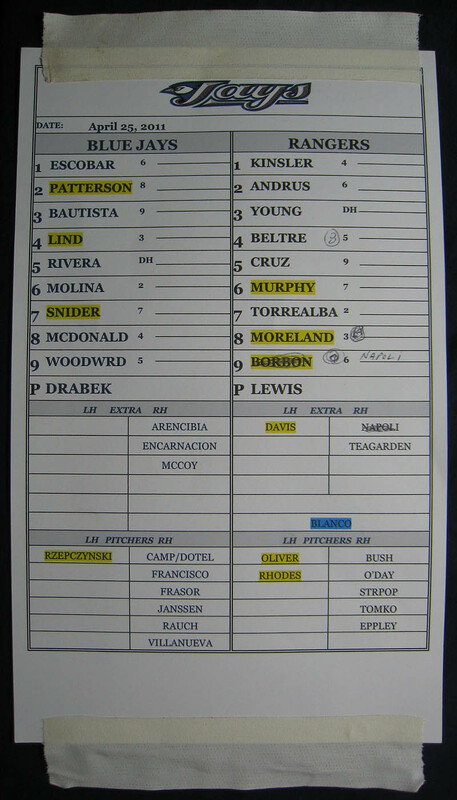 Did you realize on the lineup card they spelled Pedro Strop’s last name Strpop? Lovin’ that first picture, Zack. Your face has me rollin’. Do you know when you’re gonna be coming to Cincinnati? I have a 20 game season ticket plan with two tickets, if you haven’t scheduled a trip yet I’d be glad to hook you up. I’m doing my best to try to get down to Baltimore on July 23. My question is where do you normally buy your O’s Tix that are season tix? I use craigslist, but I’ve never had success for the O’s. 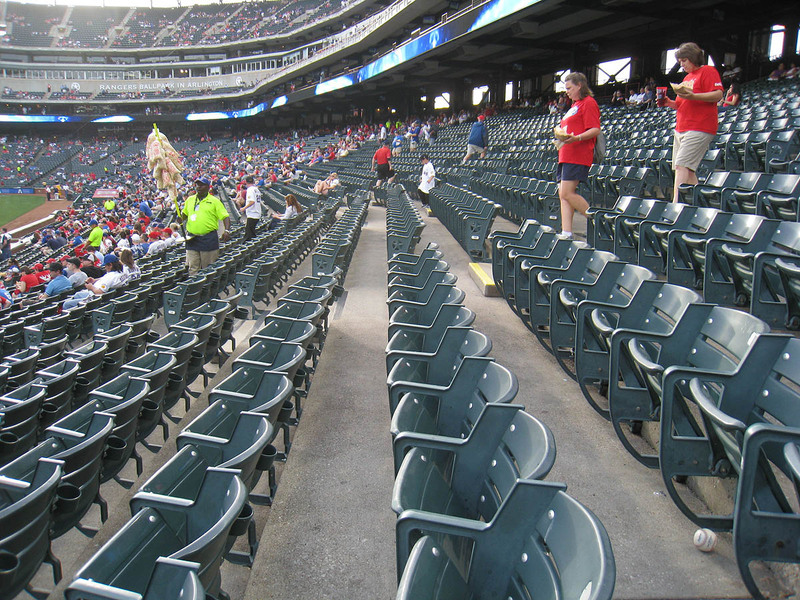 There are some, but I’m looking for cheap seats and there isn’t much. Zack, you will be just over three hours from me when your in Houston. The Corpus Christi Hooks will be in town starting on Friday and will be playing the Double-A affiliate of the Rangers. We have one team within the league, San Antonio Missions who as a team are hitting close to .400. As of Saturday the team has hit 30 home runs. They have had three games where they have hit at least five. In a game between the Tulsa Drillers both teams combined hit 11. 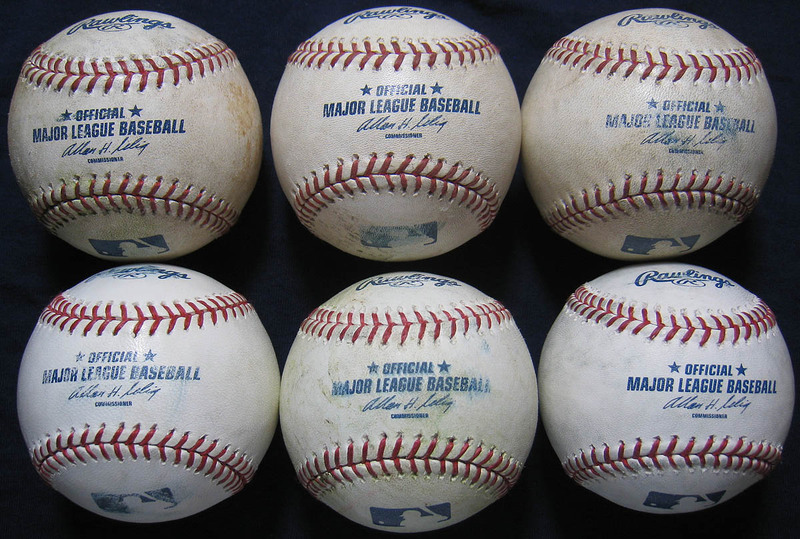 Zack, my kids and I got nine baseballs at the Dodger/Braves game last week. Of course that got us to talking about you. 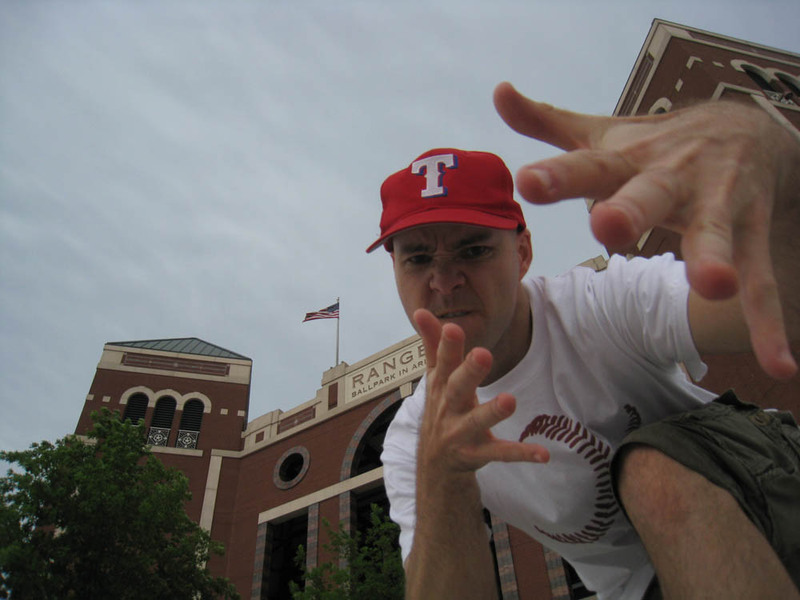 My son who is 8 asked “Where does Zack Hample keep all of his baseballs?” and my daughter who is 10 responded “He keeps them in his bathtub!” I guess your blog picture had made quite an impression on her. Good article! I had emailed the Mets about the 2 hour opening 2 weeks ago and yesterday they finally emailed me back saying that if I gave them my phone number they would call me back, but I didn’t bother. Did you? See this pic? Jerry Hairston tried to blow a ball foul, similar to what George Brett did back in the day. 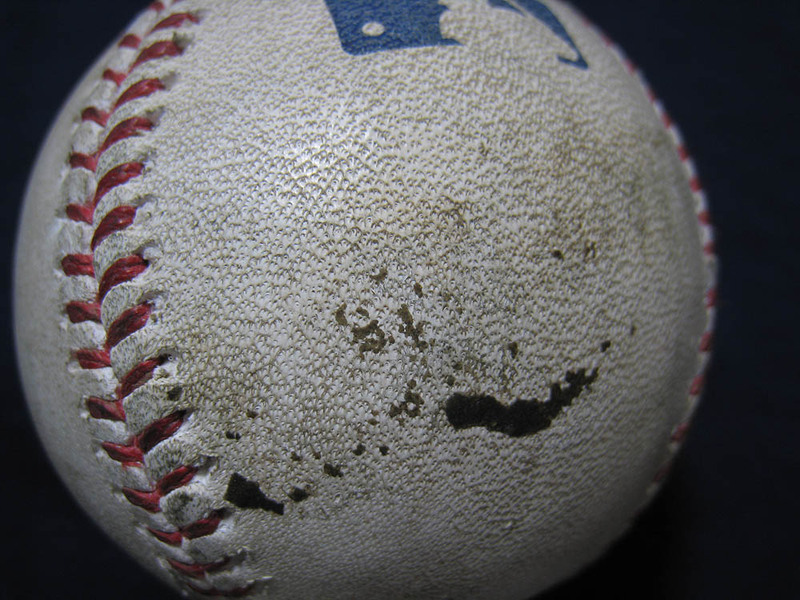 I love how the MLB logo is clear as day…. I had to do a double take on PSU532’s comment. It is EXACTLY what happened to me, in regards to the Met’s email. Except I did give the Mets my number. I want to see what sorry explanation they have anyway, for the gate situation. 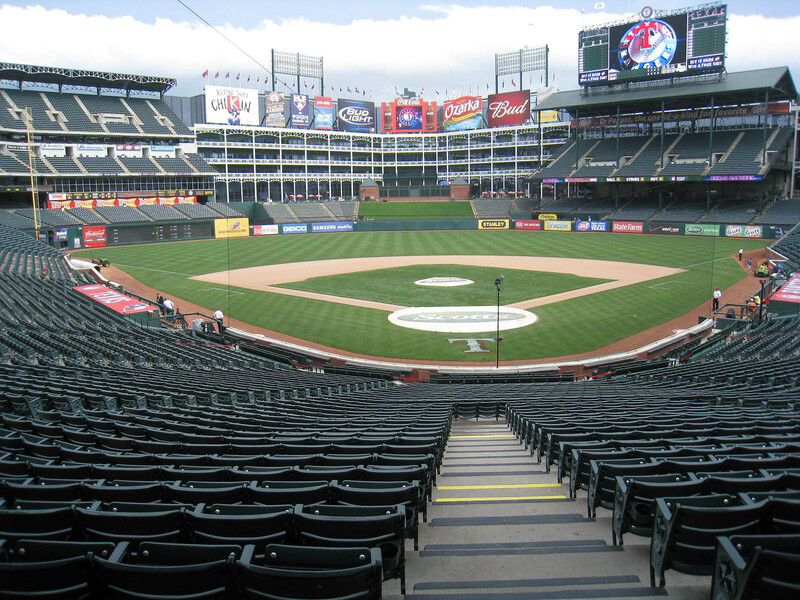 Rangers Ballpark looks great and I’m really looking forward to going there later this season. But that is extremely weak that you have to pay to hit on the whiffleball field. Never seen that before at an MLB park’s kids area. You are enjoying the Jays hitting coming out of a mini-slump. Hope you caught one of Lind’s dingers last night? 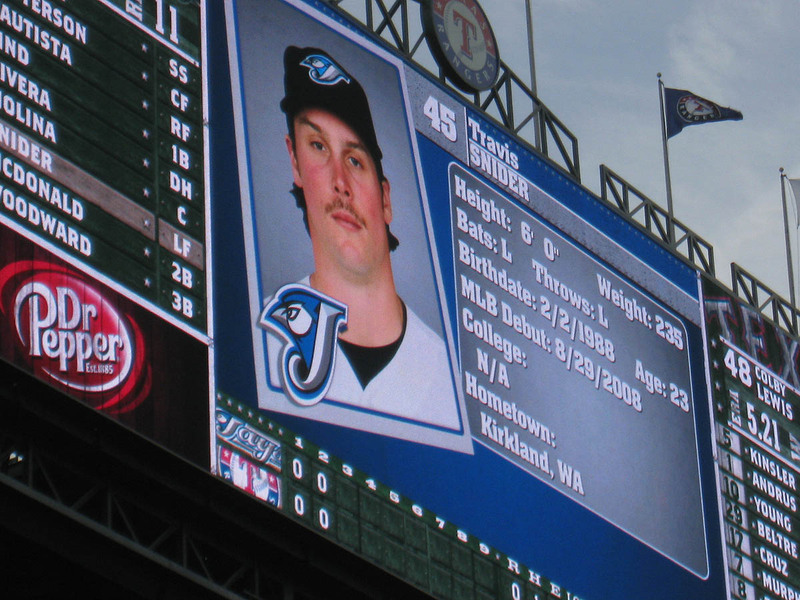 Glad to see that Snider shaved that pitiful ‘stache off! Good luck, have fun! So I got home today and saw that there was a message from the New York Mets. It was some guy named Chris Brown who gave me his number to call him back. So I did, and some lady picked up. I asked for Chris and was told that no one by that name worked there! WTF? I’m so confused right now. Well, you definitely have to make here. Bummer. Let me know about tomorrow. It’d be great to see you if you can make it. Thanks. Glad you enjoyed it, and as for the spelling of Snider…watch yourself. What’s up! I’m looking forward to seeing you in a few days, but I can’t make any promises about where I’m going to be during batting practice. I’ll probably be in right field. 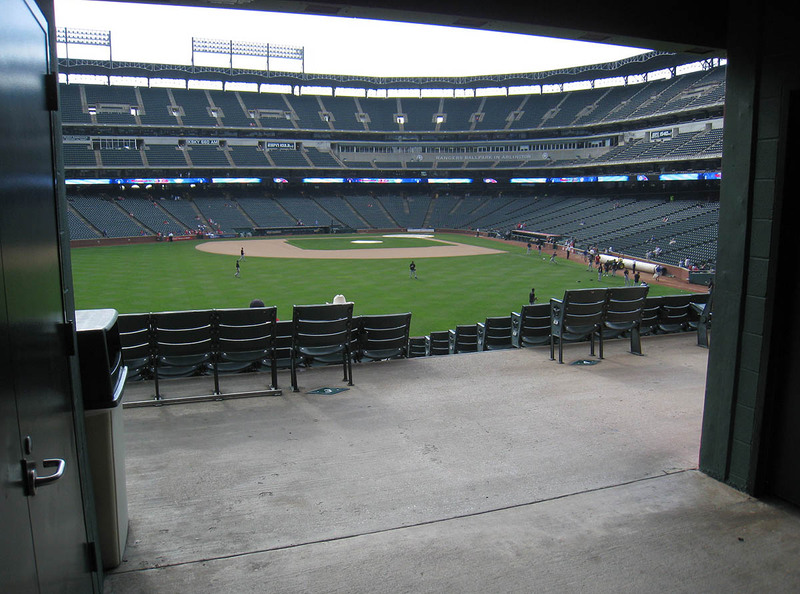 After BP, I’ll probably be behind the visiting team’s dugout, so look for me there if you still haven’t found me. See you soon! You’re welcome, and no, I didn’t notice the misspelling until you pointed it out. Thanks! That’s hilarious. I packed a lot of food, so the more balls I catch, the more food I have to eat to make room for them in my bag. As for airport security, yes, I do sometimes get pulled aside for a bag search. The screeners often ask if I have avocados. I guess that’s because the core of the ball looks like the gigantic pit inside the avocado. But still…funny stuff. I mean, I take the security procedures very seriously, but it’s fun that one harmless object can be mistaken for another, you know? Thanks for the offer. 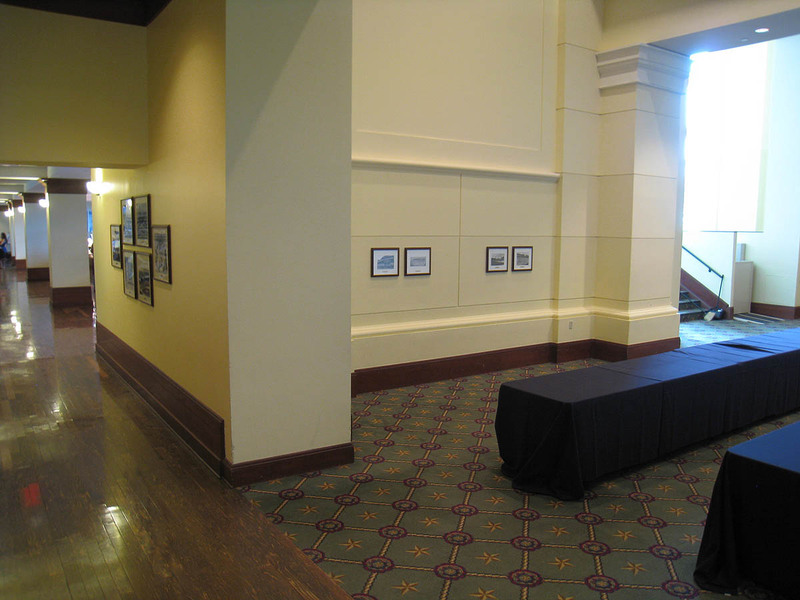 Looking at Cincy on August 26th, but it’s not booked yet. That’s just one date of many that I’m considering for various stadiums. Hope you can make it to the big ballhawk fest. It’s shaping up to be an amazing event. I used to get tickets from a broker. Now I know so many people there that one of my friends with season tickets will usually help me out. Those are “softball numbers.” Man, crazy stuff. Wish you could make it over to Houston, but three hours is quite a trek. I love it. Thanks for letting me know, and congrats on the balls. Nice hearing from you. No, I never made it that far with the Mets and the phone number. What do I need to do to get them to call me? Nice pic of Hairston. I’m not sure if you have to pay. All I know is that there were vouchers involved, but I don’t know what it takes to get a hold of those. Maybe the vouchers are given away to people on a regular basis? Nah, no LindMagic for me. If any of your boys go deep to center field, I’ll (hopefully) be all over it. 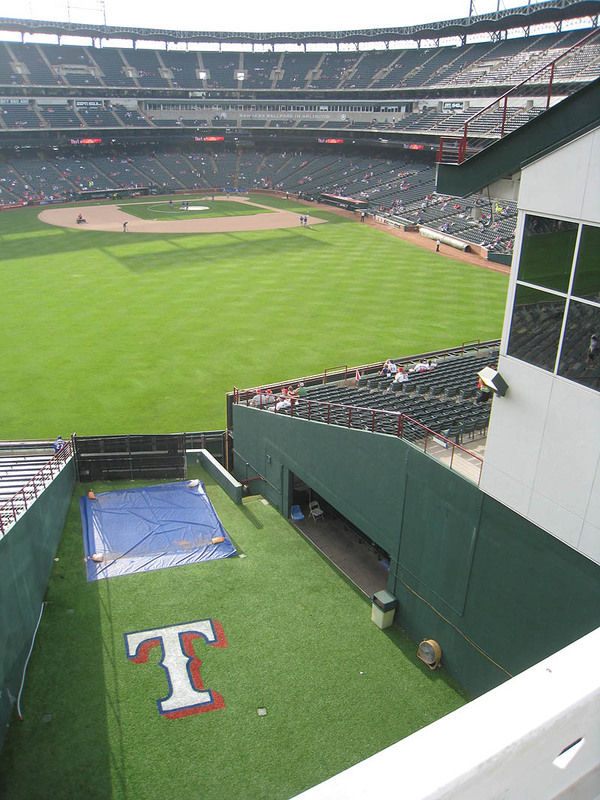 Wow, Rangers Ballpark really does it right. 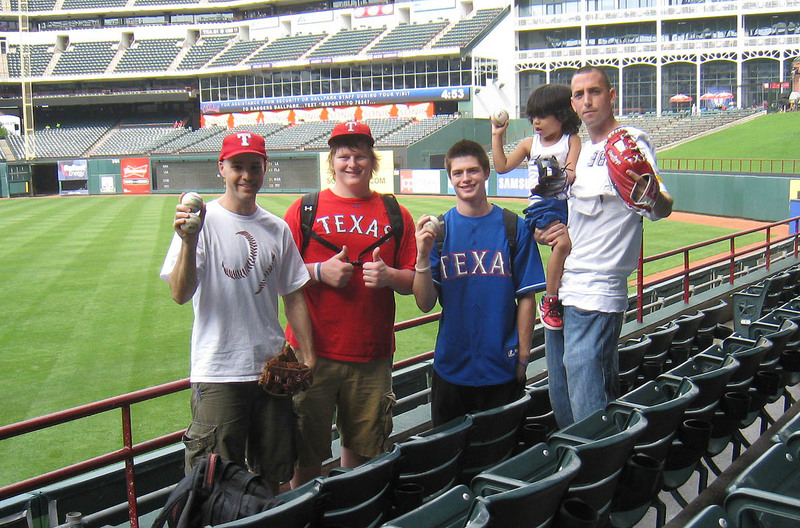 I guess Texans are really nice people (except for Lance Berkman, who didn’t sign for anybody yesterday…just kidding). Anyway, what would happen if you asked a player for a ball in a foreign language that you weren’t fluent in and that player started responding in that language? What if getting the ball depended on you responding in that language? Yes, this stadium is beyond awesome. As for the foreign languages, I guess I’d be screwed. 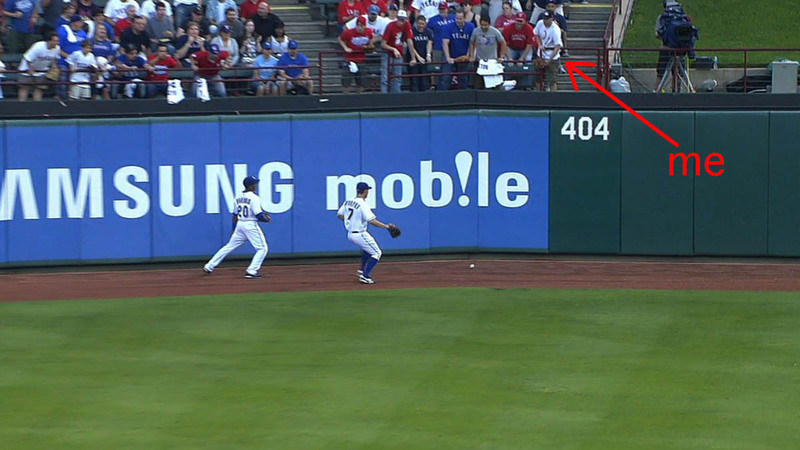 Did you see Trent catching Prince Fielder’s 1st homerun as a Ranger the other day? Haven’t seen the highlight, but I heard about it. 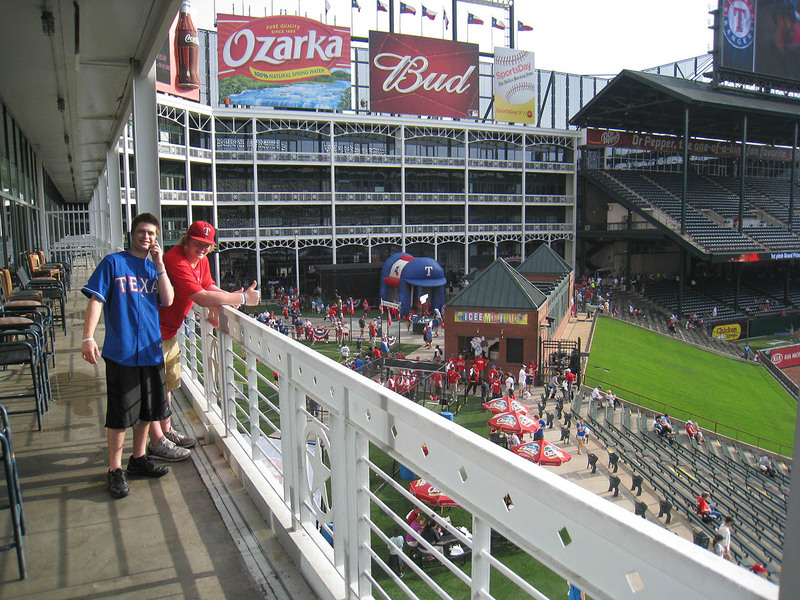 Love the home run porch in upper right field at Globe Life Park. Pays homage to the old tiger stadium in Detroit. Probably not the best place for ballhawking though. I hear if you visit this ballpark, you want to do it in April or September because the heat is just unbearable.